Nadia Boyadjieva is a professor of International Law and International Relations and Chair of the Department of International and Comparative Law at University of Plovdiv (Bulgaria). Because I was born in Bulgaria in the late 1960s, I spent the first two decades of my life growing up under a Communist regime. Although Bulgaria was not as repressive as the Soviet Union, Romania, and Czechoslovakia were in the late 1970s and early 1980s, Bulgarians had to withstand all the restrictions characteristic of Communist systems. Having seen the dramatic changes in Bulgaria in November 1989 firsthand as a student, I wanted to learn more about the history, politics, and legal structures of Bulgaria and other former Communist states. My initial postgraduate degrees were in history and law, and then I completed my Ph.D.in Modern and Contemporary history in 1999. Soon thereafter, Bulgaria became a member of both NATO and the European Union; something I never would have believed would be possible when I was a girl. I have maintained a keen interest in human rights and minority rights issues in Eastern Europe and the former Soviet Union, but, I have also become increasingly interested in questions of national security. My most recent book was the first volume of a two-part study of NATO’s relations with the Russian Federation after 1991. 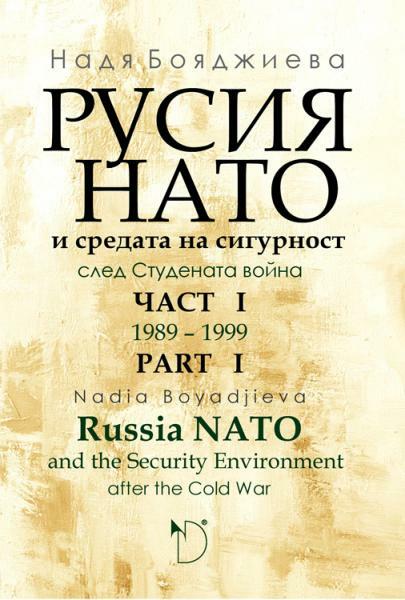 The first volume covered the years under Boris Yeltsin and, in working on it, I learned a great deal more than I had known previously about how NATO actually works and how Russian leaders have fashioned their own national security policies. My latest research project is the second volume of my study of NATO-Russian relations. This volume, which I will be writing as a visiting scholar at Harvard University, will cover the turbulent years from 2000 to 2014. The book will explain how and why NATO’s relations with Russian have gone so badly off track over the past fifteen years. ASEEES is well known in Bulgaria as a group of the most prominent academic experts on Eastern Europe—an organization that is held in the highest esteem. I am proud to be part of it. I particularly welcome the opportunity to take part in annual conventions, where I can meet others with my interests. Because I have been chair of the department of international law and international relations in the law faculty and have also been teaching full-time, I have had less free time than I would like. But I enjoy bicycle riding, walking, and watching films (including oldies as well as more recent ones).